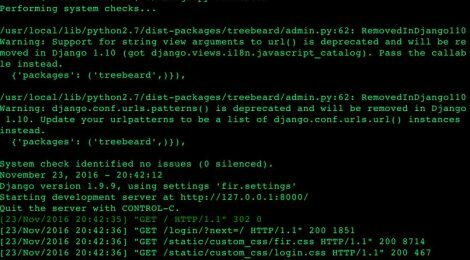 Browse: Home / cyber security incident response platform. FIR is for anyone needing to track cybersecurity incidents (CSIRTs, CERTs, SOCs, etc.). It’s was tailored to suit our needs and our team’s habits, but we put a great deal of effort into making it as generic as possible before releasing it so that other teams around the world may also use it and customize it as they see fit. 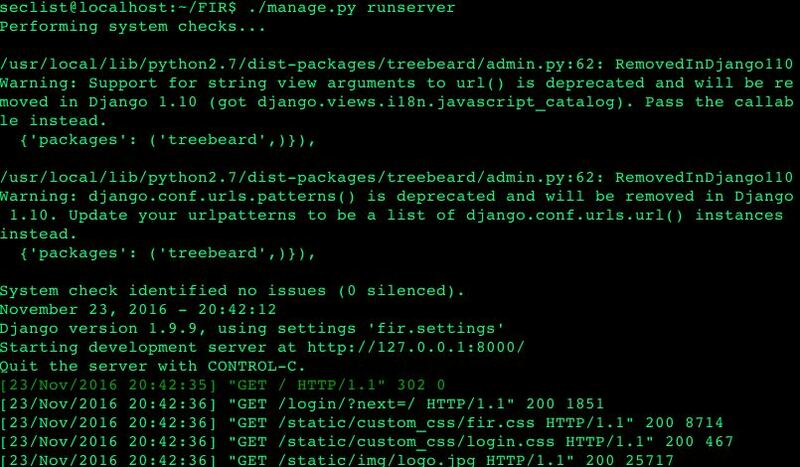 FIR is written in Python (but you probably already knew that), using Django 1.9. It uses Bootstrap 3 and some Ajax and d3js to make it pretty. 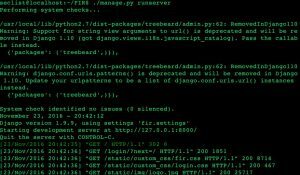 We use it with a MySQL back-end, but feel free to use any other DB adaptor you might want – as long as it’s compatible with Django, you shouldn’t run into any major issues. FIR is not greedy performance-wise. It will run smoothly on a Fedora 10, Debian 8, Ubuntu 14.04 or Newer virtual machine with 1 core, a 40 GB disk and 1 GB RAM. ← Mobile Security Framework – MobSF v0.9.3 Beta.